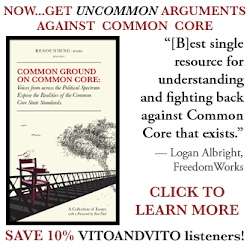 Vito and Vito are joined by the Chair of Restore America's Voice PAC and RepealItNow.org Ken Hoagland. Vito and Vito also discuss the #StopIranRally in New York City, where Vito recorded an amazing speech by LTC Allen West, which you can see here. Donald Trump releases Lindsey Graham's cell phone number and is thinking about running third party.